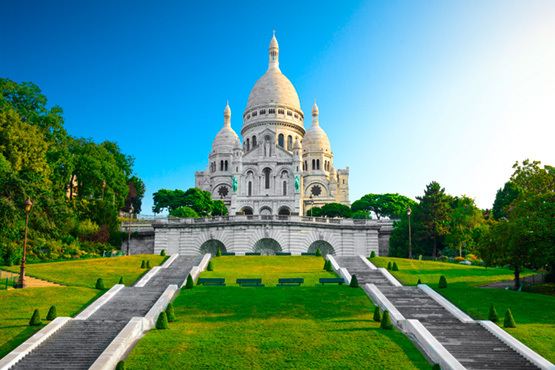 Experience Paris, Strasbourg, Lyon and Nice, the jewel of the Côte d’Azur. Experience the diversity of France for 8 days. From Paris, the dream destination of all tourists, it takes less than 2 hours by high speed train to reach the charming Strasbourg its cozy streets and half-timbered houses. In Lyon, culinary delights await you, along with a beautiful old town, before you take the TGV to Nice on the Côte d'Azur, where the rich and famous meet in Cannes and Monte Carlo and you will finally fall in love with France. Arrive in Paris by flight. Transfer to your hotel and overnight in Paris. Depart Paris by high speed train to Strasbourg, famous for its picture-perfect old town and cathedral. Stroll through the picturesque district of Petite France and let yourself be charmed by the many restaurants and wine bars. Overnight in Strasbourg. Depart Strasburg by train to Lyon, UNESCO World Heritage Site. Discover the old town with its traboules (secret passages and in particular the world famous Lyon gastronomy. Overnight in Lyon. Train ride to Nice, the pearl of the Côte d’Azur. Enjoy the colorful harbor, the famous Promenade des Anglais, the museums and the flower market and discover the old town with its narrow streets, attractive boutiques and cozy restaurants. Overnight in Nice. Depart Nice by train back to Paris. Enjoy the time in this magical city again. Overnight in Paris. End of your journey. Transfer from your hotel to the airport. Nice - Transfer from train station – hotel or vice versa. Private taxi 1-4 persons. Combine your trip to France with any Package in Switzerland, i.e.